Make the most of your fresh tomatoes and basil in this colorful healthy salad. 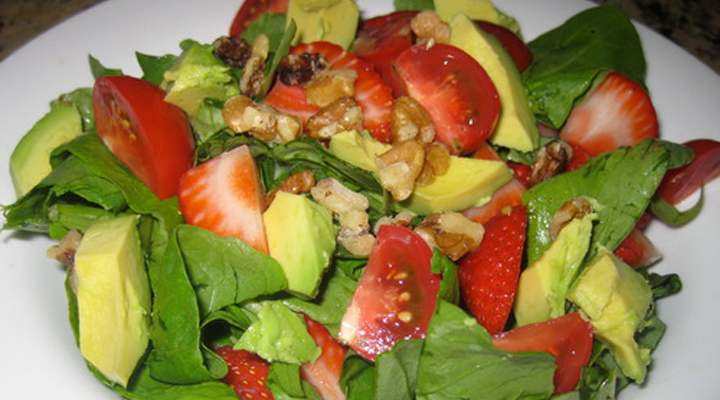 Perfect for summer, this tomato, basil and avocado salad is an easy side dish. Diabetes Friendly and Gluten Free! Step 1: In a large bowl, mix all ingredients and stir gently. Step 2: Chill, covered, for at least 1 hour before serving.